12/05/2019 – 13/05/2019 @ 12:00 pm – 1:30 pm – Sizzle sausages with Lilydale Flying Club and join in the conversations as you catch up with your flying mates. 16/06/2019 @ 12:00 pm – 1:30 pm – Sizzle sausages with Lilydale Flying Club and join in the conversations as you catch up with your flying mates. 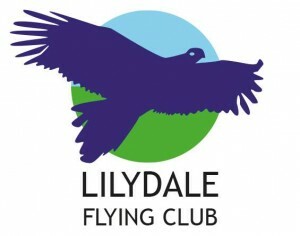 14/07/2019 – 15/07/2019 @ 12:00 pm – 1:30 pm – Sizzle sausages with Lilydale Flying Club and join in the conversations as you catch up with your flying mates. 11/08/2019 – 12/08/2019 @ 12:00 pm – 1:30 pm – Sizzle sausages with Lilydale Flying Club and join in the conversations as you catch up with your flying mates. 08/09/2019 – 09/09/2019 @ 12:00 pm – 1:30 pm – Sizzle sausages with Lilydale Flying Club and join in the conversations as you catch up with your flying mates. 13/10/2019 – 14/10/2019 @ 12:00 pm – 1:30 pm – Sizzle sausages with Lilydale Flying Club and join in the conversations as you catch up with your flying mates. 10/11/2019 – 11/11/2019 @ 12:00 pm – 1:30 pm – Sizzle sausages with Lilydale Flying Club and join in the conversations as you catch up with your flying mates. 08/12/2019 – 09/12/2019 @ 12:00 pm – 1:30 pm – Sizzle sausages with Lilydale Flying Club and join in the conversations as you catch up with your flying mates.